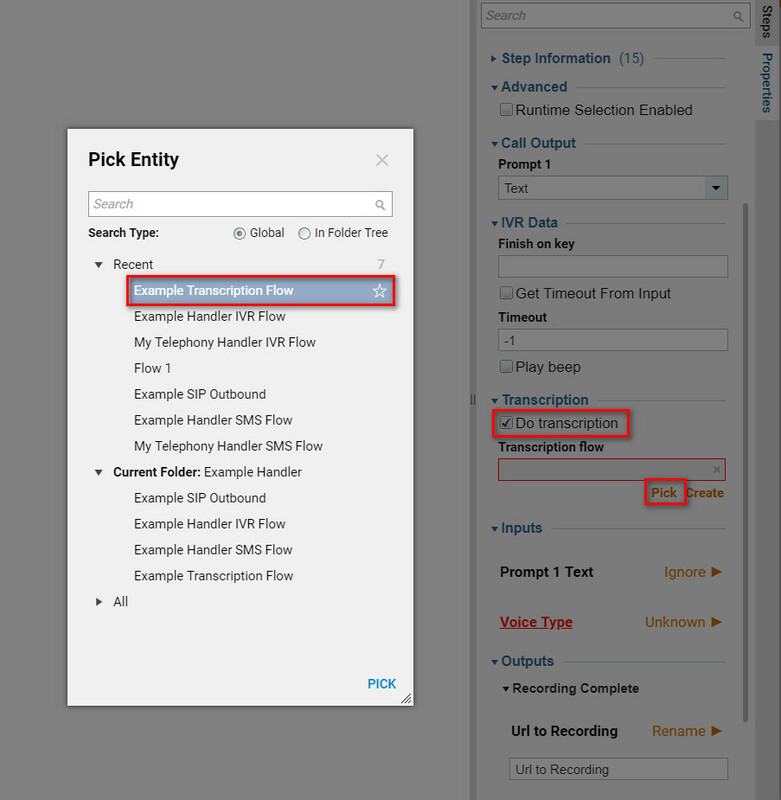 Using the Decisions Telephony module, you can record and transcribe phone conversations. This article explains how. If you haven’t already done so, Register the Telephony Service in Portal and Create a Telephony Handler . In your Telephony Handler folder, edit the [Name of Telephony Handler] IVR Flow	. This is the flow that will be initiated whenever a new incoming call is received. 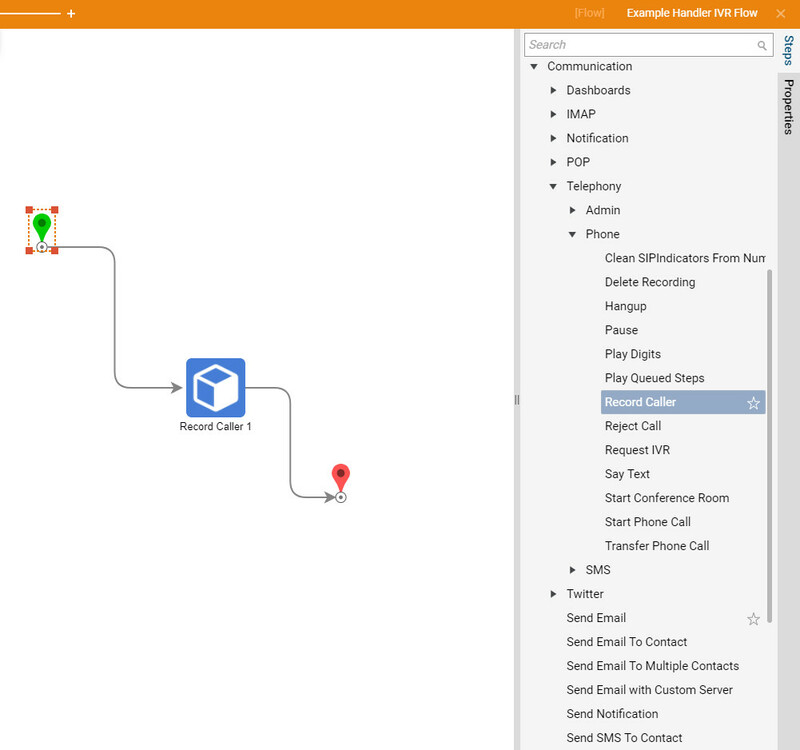 In the Flow Designer’s startup window, navigate to All Steps [Catalog] > Communication > Telephony > Phone,	select the Record Caller	step, and click Add to place it onto your model. This is a voicemail type recording step that will prompt a user for a recording and then record a message after a tone. Prompt 1:	selection of the source for voice alert to caller. A Recording Document, URL, or text can be used for the prompt. Finish On Key:	The recording will finish when the specified key is entered. 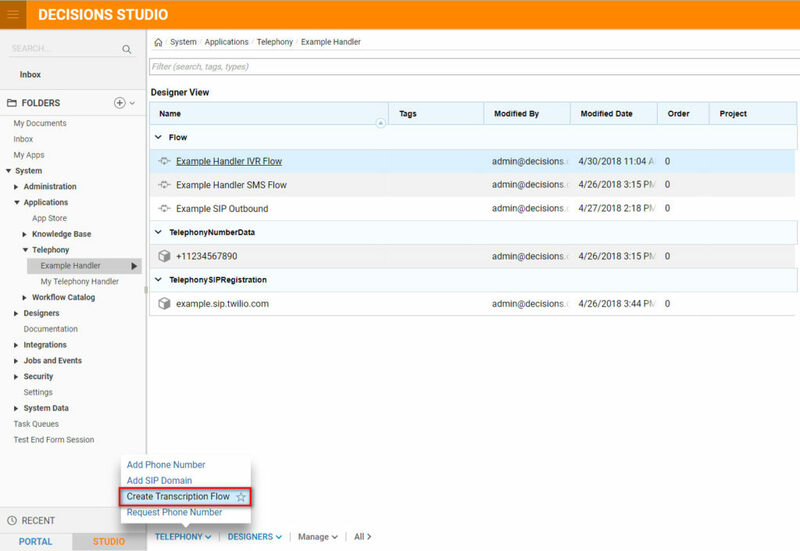 Timeout	: The maximum recording time in seconds. This value can be mapped in if the Get Timeout from Input	is checked. Inputs:	will display the input for the selection made in Prompt 1	and the Voice Type	i.e. if you select Text	for Prompt 1	then the text value provided here will be read using a text to speech in the voice type selected. Do transcription:	exposes an option to choose another flow that will transcribe the audio from this recording (more on this below). Url to Recording	: When the recording is complete this variable will be populated with the value of the URL where the recording can be accessed. 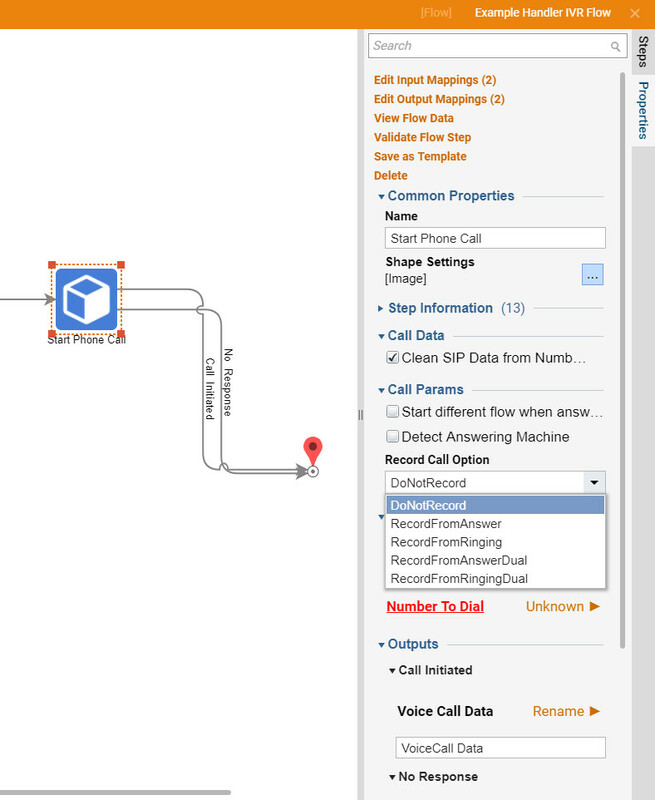 To transcribe a recorded call, you first must build a transcription flow. 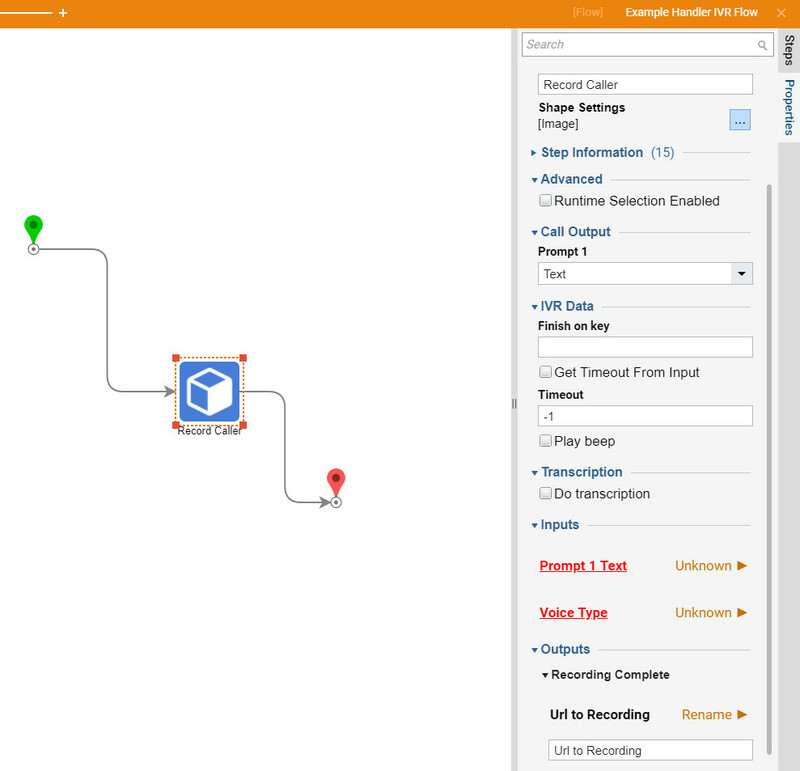 To do so, navigate to your Telephony Handler and select Actions > Create Transcription Flow	. 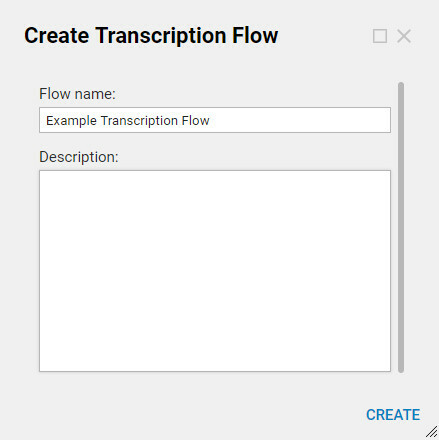 Give your transcription flow a name (and optionally a description) and click OK.
After building out the transcription flow to do the transcription work, edit your IVR flow again and select the Record Caller	step. Check the Do transcription	check-box. Click the Pick	button and select the Transcription Flow you just created above. Now whenever a call is recorded, the transcription flow will also be called. If you wish to record the call during a phone conversation there are call recording options on the Place Call	and Transfer Phone Call	steps. Calls can be recorded using these steps from either the Ringing or the Answer of the conversation. To retrieve this recording and additional step is required in Communication > Telephony > Phone > Get Recording URLs from Call SID. This step will pull the URL to the recording from the Telephony service provider based on the Call SID	of that conversation. 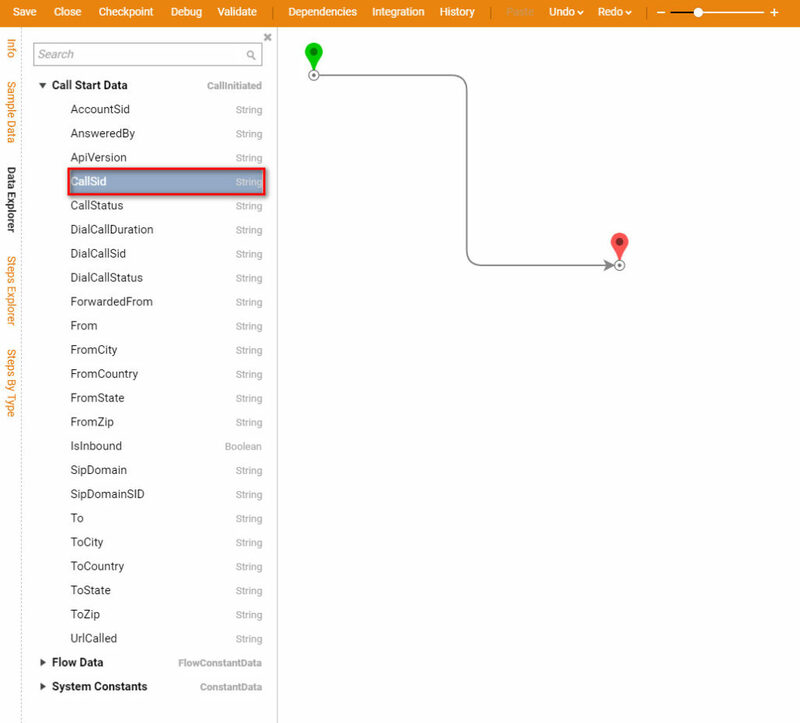 The unique Call SID	is included in the Call Initiated	input data on the IVR flows.